Gas tape to BS5292, suitable for all gases, including oxygen. PTFE Gas Spec Tape 12mm x 5m is rated 4.8 out of 5 by 6. Rated 5 out of 5 by Barnacle Bill from PTFE Gas Spec Tape I use this on all my pipe fittings, being that bit thicker it gives a much better seal plus it's safe to use on all water, fuel and gas pipes. Rated 5 out of 5 by Brookson5126rltd from Cheap item Cheap item delivered in time unlike the other item which I ordered which I am still waiting on after being told it would be delivered today but it never came .... lose of earning waiting in my house for it never to come Very disappointed!!! Rated 5 out of 5 by MattT from Dose the job! 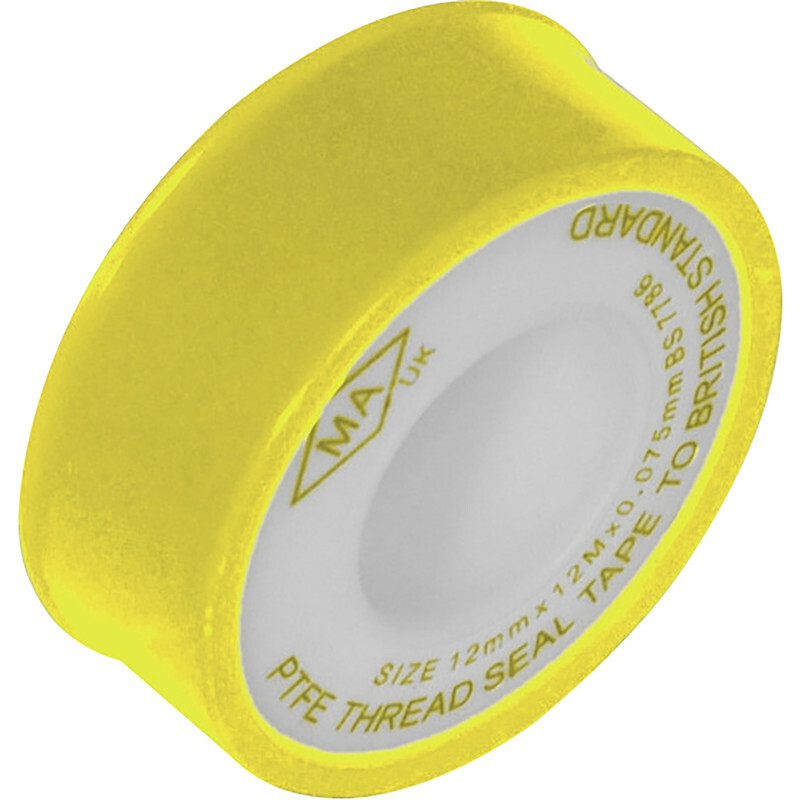 I brought this tape for sealing compressed air fittings. Gas spec PTFE is much thicker than standard PTFE, and works a treat on high pressure airlines.